BELLA VISTA ITALIAN VILLAGE Condo hotels, are a burgeoning idea in the real-estate industry that combines vacation-home ownership and a great real-estate investment. Buyers can own a luxury vacation home at a world-class resort and receive rent revenue whenever they are not in residence. A total of 180 one, two and three bedroom (luxurious, first class) apartment units nested within an elegant Italian village. Surrounded by lakes, fountains, luscious landscaping, specialty stores, boutiques and restaurants, this unique condo-hotel combines whole ownership with first class hotel services. Approved for short-term rentals. Prices range from $237,500 to $415,000. 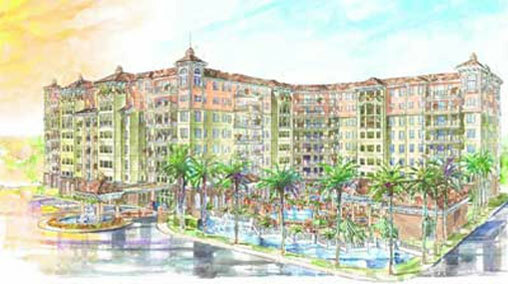 The owners of Bella Vista have the option of placing their condo hotel unit in the hotel rental program. This is what makes condo hotels so attractive. A professional management company takes care of renting out the units when the owners are not in residence, capitalizing on their advertising, national affiliations, centralized reservation systems and management expertise. Unit owners typically receive higher levels of rental income than they would from a traditional vacation home. As part of the rental agreement the management company pays for most operating expenses including housekeeping, administrative, and marketing. The Condo hotel owner typically is responsible for estate taxes, insurance and capital improvements. ALL PRICES STARTING FROM $237,000 AND UP PRE CONSTRUCTION. 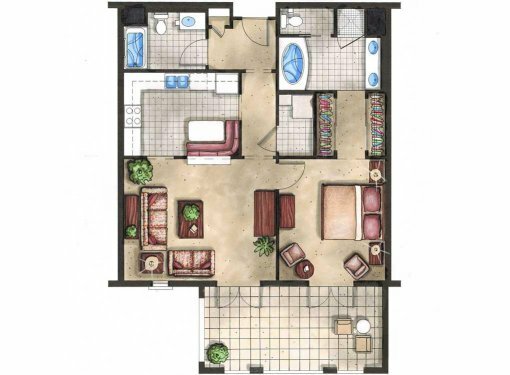 2 BED 2 BATH 1214 SQ.FT. 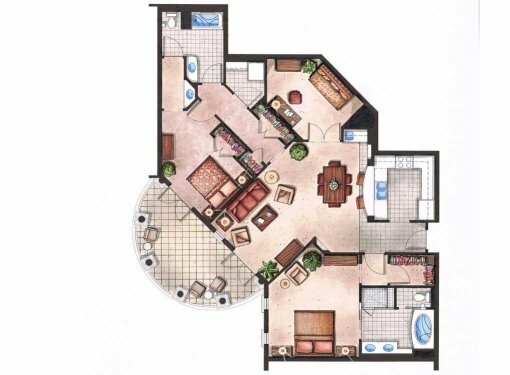 3 BED 2 BATH 1363 SQ.FT. 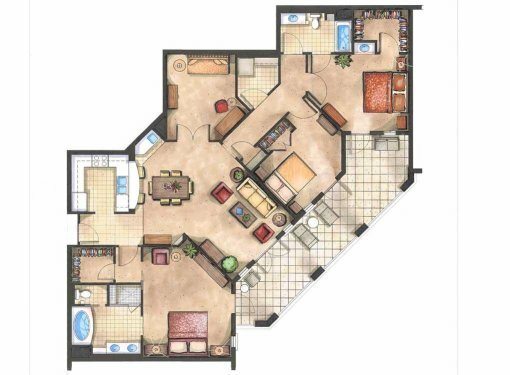 3 BED 2 BATH PLUS DEN 1827 SQ.FT. 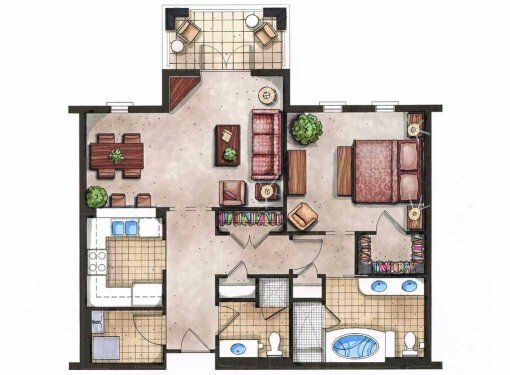 1 BED 2 BATH 960 SQ.FT. 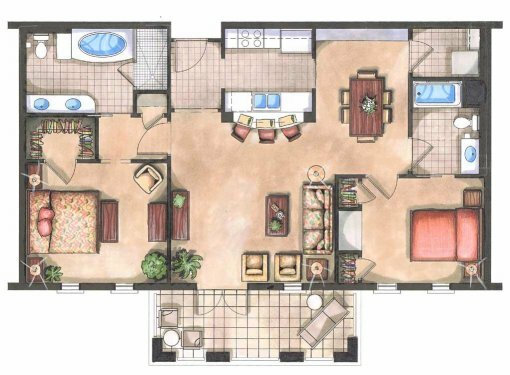 1 BED 1 BATH 991 SQ.FT. 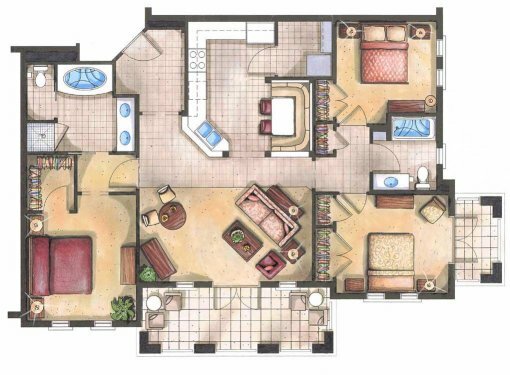 2 BED 2 BATH DEN 1537 SQ.FT.